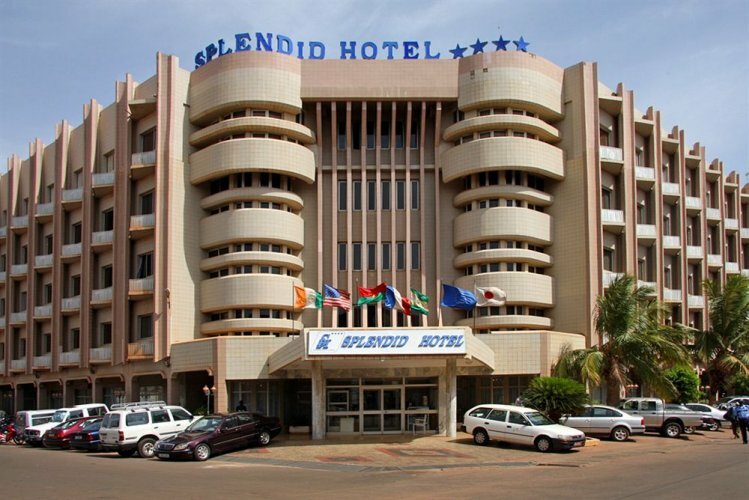 An act of terrorism was committed in the heart of Ouagadougou, the capital of Burkina Faso, on Friday night, January 15. Gunmen armed with heavy weapons attacked Cappuccino restaurant and luxury Splendid Hotel. Hostages were released after a government counter-attack in the next morning as the siege ended. Over 20 men died, while hundreds were wounded. The attack was claimed by Al-Mourabitoun, a branch of Al-Qaeda in the Islamic Maghreb (AQIM). A question pops up – why the country surrounded by neighbors where terrorist activities have become routine since a long time ago, had been spared from attacks until this tragedy occurred? Boko Haram group operates in the eastern part of Niger, the gangs of Al-Qaeda in the Islamic Maghreb are active in the northern part of Mali, but no terrorist activities had been reported in Burkina Faso till the recent Ouagadougou attack. Why now, why not before? There is one explanation of such an immunity of Burkina Faso to terrorism. And this explanation is that Blaise Compaoré ruled the country for 27 years (1987-2014). As a result of Burkinabe uprising, he resigned on October 31 and fled to Ivory Coast. A few months later one of his associates tried to stage a coup d’état, but failed, making the country plunge further into anarchy. 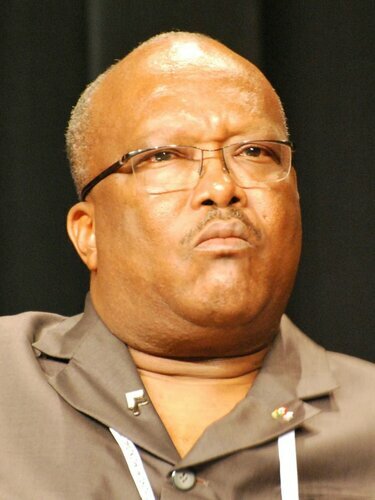 Roch Marc Christian Kaboré won the presidential election in November, 2015. He took office on December 29, 2015 – only a few days ago. 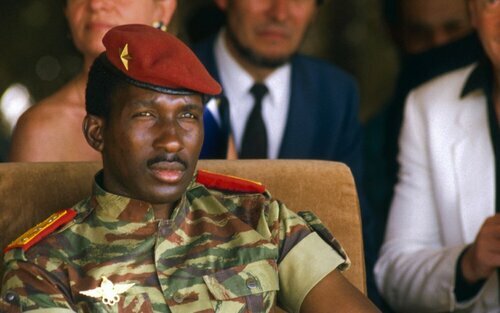 Before the inauguration, Burkina Faso’s military court had issued an international arrest warrant for the former President Blaise Compaore on charges of staging a coup d’état in 1987 and the assassination of the country’s revolutionary ex-leader Thomas Sankara. A step in the right direction, no doubt about it. Probably, Burkina Faso had been spared from terrorist activities because the government was involved in illegal arms sales to Islamic militants. However, the perpetrators of the recent attack had no relation to Islam – Muslims were their main target. According to recent census (2006) conducted by Government of Burkina Faso, 60.5% of the population adheres to Islam. About a quarter of population are Christians. For many years the country has been ruled by Catholics, including the overthrown President Compaore, Sankara – the leader assassinated by Compaoré, and the new President Kaboré. Somehow Islamists used to easily find a common language with Christian Blaise Compaoré and had a free hand to eliminate «false» Muslims while waving Islamic flags. The participation of US military in the operation to free hostages kept in the Splendid Hotel is easy to explain. The United States has a base in Ouagadougou, Burkina Faso, since 2007. The fact of US military presence currently engaged in actual military operations in 14 sub-Saharan nations is normally kept out of public spotlight. The region boasts vast resources. Burkina Faso is rich in copper, iron ore, manganese, and phosphates and tin. Gold is the main treasure the country possesses. Unlike in the case of other gold producers which have their reserves nearly depleted, Burkina Faso is currently experiencing a dramatic gold mining boom. In 2011 (the time of major political tensions) the production grew by 32 percent. Burkina Faso has become Africa’s 4th biggest producer of gold after South Africa, Mali and Ghana. Gold accounts for about half of the country’s exports. The new government faces security challenges. The terrorist act occurred just a couple of weeks after the inauguration to remind the President who calls the shots in the country. There is someone who can easily make the country plunge into the quagmire of terror going rampant or curb the terrorist activities. No doubt, this «someone» will not refuse the power he enjoyed in the days of Blaise Compaoré’s tenure. The only thing left is to watch the new President respond to this show of force. There are African leaders who are adamant in their determination to pursue national interests to the very end, including Nigerian President Muhammadu Buhari and Jacob Zuma, the President of South Africa. But it’s not enough to stand up to the West. Thomas Sankara, former President of Burkina Faso, realized it well. In one of his most famous speeches delivered at the summit of the Organization of African Unity (now the African Union) in Addis Ababa in 1987, Sankara issued a passionate call to reject debt repayments as a form of permanent plundering of African countries. He said, «If Burkina Faso alone were to refuse to pay the debt, I wouldn't be at the next conference».